Skin care is a quite a mine field wouldn't you say? We all have different skin types and some of us are allergic to certain products and knowing what to try is always hard because ALL products EVER are meant to be incredible. I was lucky to be blessed with good skin for many years but when I moved back home for a year or so; my skin went nuts and I broke out all the time, I had eczema on my chin and dry patches every where. I also went from having an even skin tone, to having lots of redness or Rosacea if we are being fancy. Whilst at home my friend recommended I switched up my skin care routine and try some REN products. Guys, I have never looked back. A combination of REN and La Roshe Posay have worked wonders on all my skin problems and I now feel more confident than ever strutting around with a bare face. Rosa Centifolia Hot Cloth Cleanser promises to 'purifie, decongest, gently exfoliate and remove all make-up' - In my opinion it does what it says on the tin. It has a lovely rich, creamy consistency and a lovely light rose scent. I use this at the end of the day when it's time to take off my make up and I use their lighter 'Evercalm Gentle Cleansing Gel for Sensitive Skin' in the morning or if I'm having a break from heavy make up. 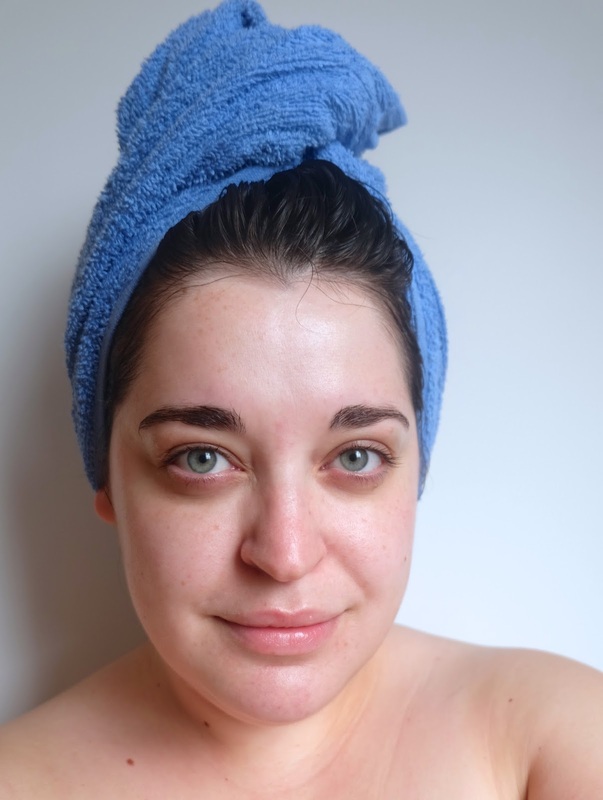 Flash Rinse 1 Minute Facial - this is a transforming treatment that you can use every now and then and it perks your skin up, rejuvenates it and it feels like you're giving your skin such a treat! After I have used Flash Rinse my skin looks all dewy and glows! And Voilà - this is me without a scrap of makeup on, something I would never of shown whilst I was experiencing so many problem areas! 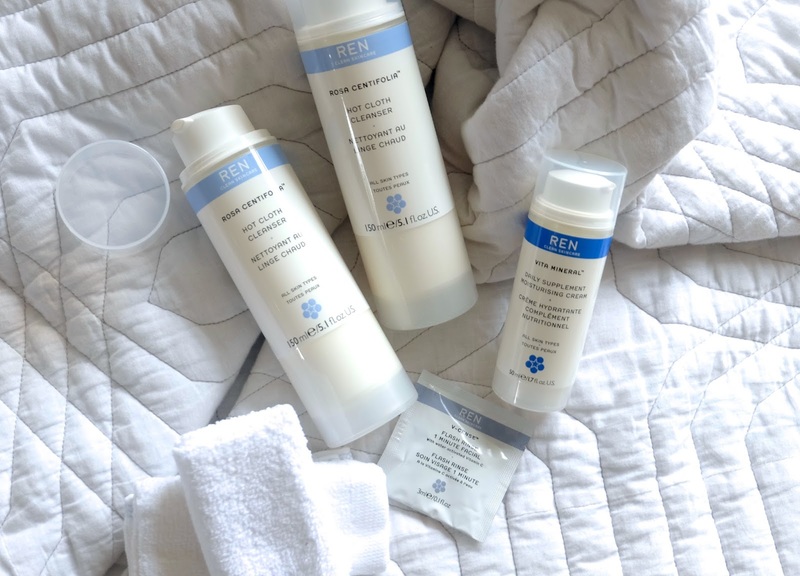 Let me know what you think of REN products or if you think you'll give this set a go. Oh no, now I'm on M&S and I want to buy all the Ren skincare! I've tried samples of their masks before and I loved them.